If you would like the magic of hypnosis and to feel better about yourself and your life, email me for an appointment. Hypnosis is an incredibly effective way to help someone quickly. As a Licensed Mental Health Counselor, a board member of the Florida Society of Clinical Hypnosis, and a member of the American Society of Clinical Hypnosis, hypnosis is my specialty area for a variety of problems and for reaching goals. Are you feeling overwhelmed? Anxious? Are you having physical symptoms due to psychological problems or trauma in your past? Check out Core Healing Hypnosis. If you’re struggling with a Fear or Phobia (such as Fear of Flying) or a physical condition, hypnosis is effective and has no side-effects. Online therapy is available. Nope. People cannot be made to do things under hypnosis that they don’t want to do. Hypnosis may be thought of as encouraging the clients’ creative imaginations to make changes in their behaviors, attitudes, emotions, & feelings that are in accordance with their values. Most people just feel very relaxed as they sit with their eyes closed. You will hear everything that I say to you and remember it as well. You can talk during the hypnosis or move. It’s just like a deeply relaxed state. Yes, you’ll feel rested and refreshed. It depends on which problem you are tackling or what your goals are. We will discuss fees during the phone call so that you’re clear on how much it will cost. 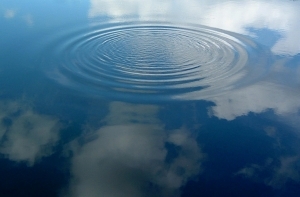 Click for more FAQs about Hypnosis answered! I offer a 3 session package with additional sessions as add-ons if needed. Click to Stop Smoking! FREE MP3s to Reduce Fear & Anxiety! “Your voice is so soothing! I fell right asleep!” – Liliana B.